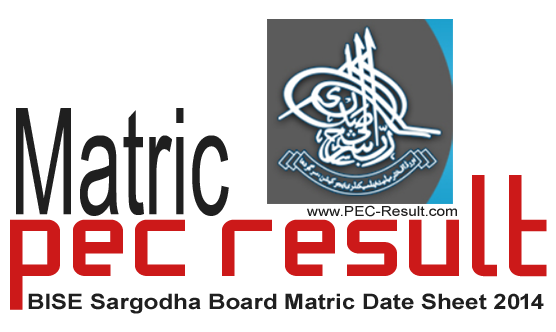 The board of intermediate and secondary education Sargodha is one of the largest working educational boards in the Punjab province of Pakistan. Every year there are thousands of the students from the region who appear in the examinations conducted by the boards. The intermediate and secondary education annual examinations are conducted by the board as its main function and it performs many other functions as well. The board has to take examinations in the month of March which will continue till June. The very first class which will be appearing in the examinations is the class 10th and the students are curious about the date sheet which is not yet released by the board. We have been trying to know about the official status of the announcement of the date sheet but the board has not responded us as yet.They say that once it is announced, it will be available for the download on the official website of the board.The students must not divert their attentions from the preparation as the SSC examination holds the basic importance for their future. Once the date sheet is released, it will be brought to you by us. The mission of the Sargodha board is to help the education of the region by developing an educational system and examination system which is fair and transparent. The board wants to develop the education system by adopting the international standards. The jurisdiction of the board of Sargodha district, Khushab District, Mianwali District, Bhakkar district.